Moravian Manor called upon us to find ways to meet the demand of their independent living waiting list and address parking and other issues. Since the site was too small to continue with the cottage plan of previous expansions, we designed a two-story apartment building, which allowed the units to be connected to the main building. A new 40-space underground parking garage was created under the apartment wing, and large brick chimneys flank a new independent living and visitor entrance. 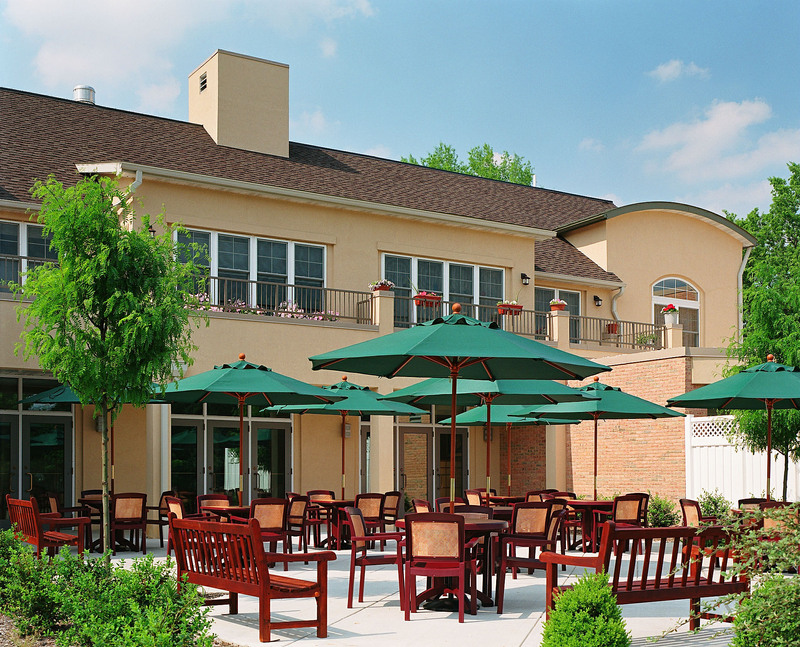 Residents enjoy dining and socializing on the patio, conveniently located outside the main dining room. It’s easily accessible from the dining room, lounge and corridor. From the patio, the roofline, which borrows techniques used in historic building design, adds visual interest. 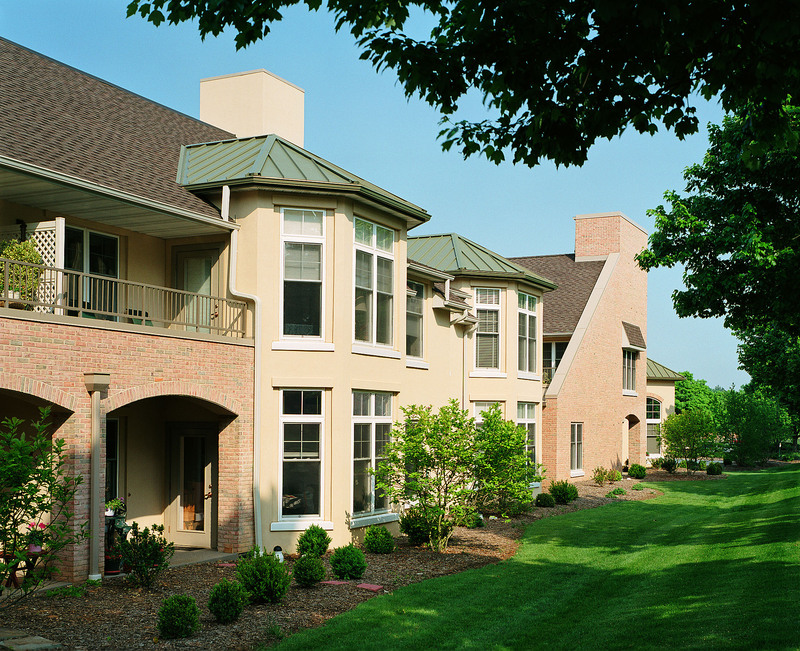 Patios of the second-floor apartments overlook the landscaped outdoor space. 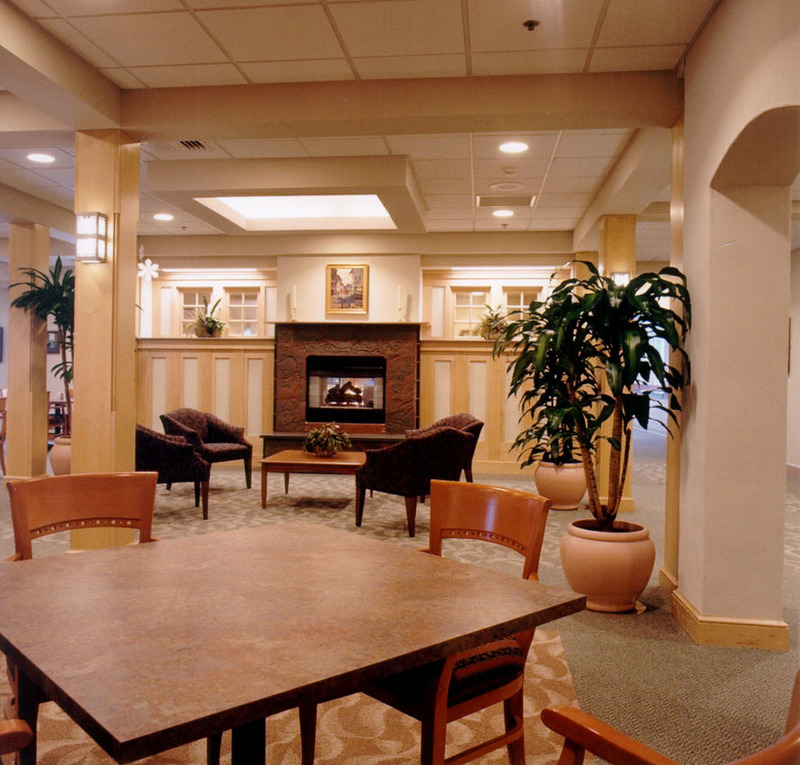 Designed to provide an inviting, homelike space for residents to visit with guests, the casual café and lounge area is a popular spot. A double-sided fireplace warms the lounges on this side and the resident library on the opposite side. Light-colored natural wood column and beam covers, paneling and trim help create an inviting, comfortable ambiance. Featuring plenty of rich wood cabinets, a double pantry and room for displays of special keepsakes, the resident kitchens are designed for beauty and accessibility. 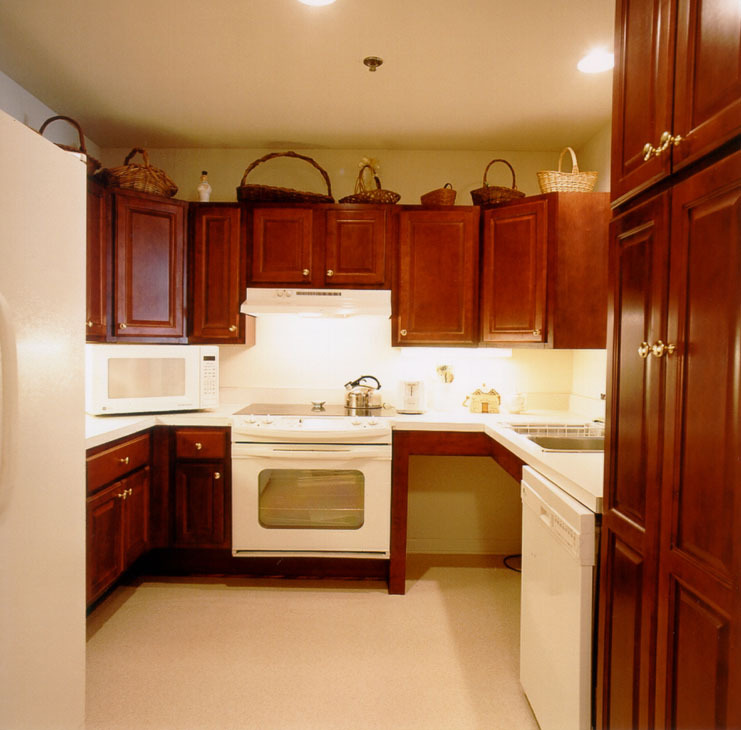 Countertops are 2” lower than the industry standard, to meet accessibility codes, and the space under the sink is open to accommodate wheelchairs. Stovetop and oven controls are on the front of the appliance, and high-level under-cabinet lighting increases contrast and reduces eyestrain. Welcoming residents with an elegant resort or private club feel, the dining room lounge sets the stage for an extraordinary dining experience. 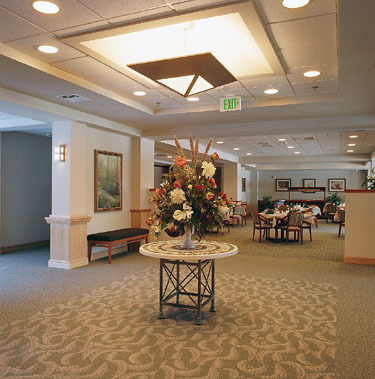 An attractive carpet inlay, furniture and a feature lighting fixture mark the dining room entrance. The entire area features wood trim, artwork and furniture that reinforce the elegant atmosphere.